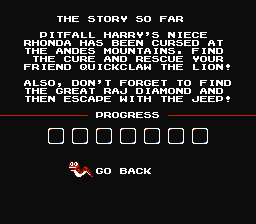 This hack does an admirable job of taking a clunky, vague, generally unpleasant NES game and making it a decent, even fun, game. 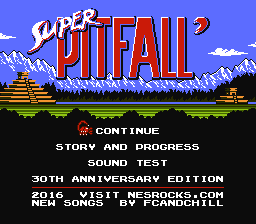 Steps were taken to remove or alleviate most of the game’s annoying features (unclear objectives, messy and unfair level design, bad music, bad graphics, limited bullets), and the end result is leaps and bounds better - definitely what the game as released should have been. 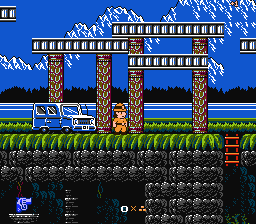 It’s still an NES game, so it’s still pretty hard and easy to get lost in. 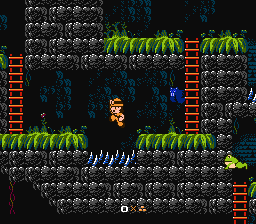 Making Super Pitfall a better game doesn’t mean removing the challenge, after all. 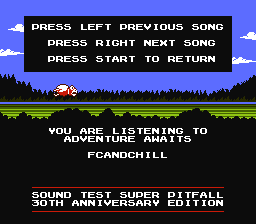 But the better physics and level design give the impression that when you die, it’s your fault and not the game’s.